Welcome to Tool Box Buzz! Tool Box Buzz is a website dedicated to all things tools including News, Reviews and Information. 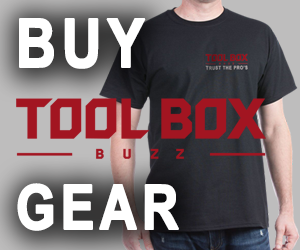 Tool Box Buzz is for all you serious tool junkies. You know who you are…you can’t but sneak into the tool isle at the hardware store or browse through tool catalogs like they are the toy catalogs for kids. Whether you’re a DIY’er, Construction Worker or Hobbyist we think Tool Box Buzz will provide you all the latest news and reviews for all your favorite tools and Brands. Tool Box Buzz is published by Tool Box Buzz, LLC under the direction of Editors Todd Fratzel and Robert Robillard. 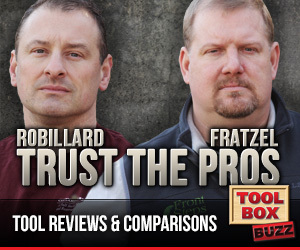 Tool Box Buzz features several regular contributors with varying experience using tools including professional contractors, remodelers and DIY enthusiasts. The diverse experience of the contributors provides great perspective from many different end users. Do you have a suggestion for Tool Box Buzz? Do you think you have what it takes to join the Tool Box Buzz Team? If so please Contact us with your suggestions. If you’re interested in advertising on ToolBoxBuzz.com please check out our latest Media Guide for rates and available options. Phil is a 28-year old Air Force Veteran who decided to transform his passion for construction and home improvement into a career. Inspired by his Grandfather who built his home from the ground up with his bare hands in Portugal, he received his formal training in Carpentry at the North Bennett Street School in Boston, MA. Phil continues to grow his skills as a lead carpenter, managing job sites in and around Boston, and a Captain in the Air National Guard bettering himself as a leader. He loves exploring new building products and construction methods to solve job-site problems and reviewing tools for the pro-contractor and serious DIYer. Jim Nadeau is a Master Electrician and owns and runs Nadeau Electric LLC established 2007. 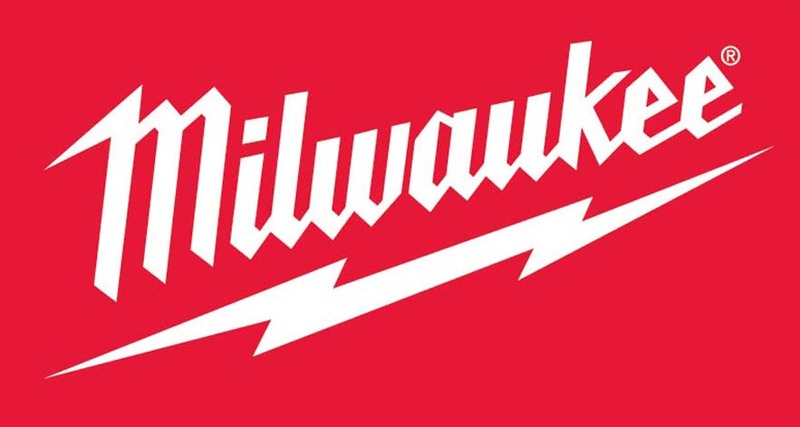 Nadeau Electric specializes in older homes and light commercial projects. 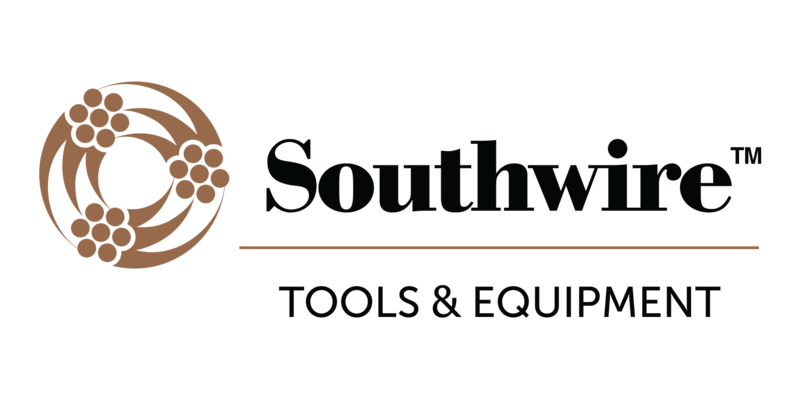 Jim Nadeau uses his 15 years of electrical experience to review the latest electrical tools and advise on any electrical concerns that may arise for our crew. Journeyman Carpenter/ Renovations/ Finish carpentry . 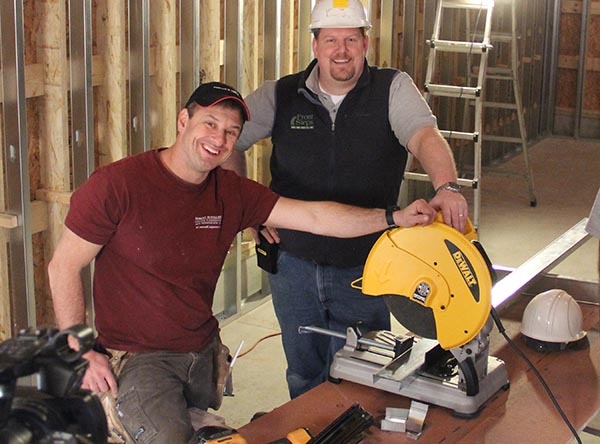 graduating from the Nova Scotia Intitute of Technology's Carpentry diploma program in 2005, from there became indentured in the apprenticeship program and then completed the Interprovincial Exam receiving his Red seal in 2008. Focusing mainly in residential high end renovation and custom new homes in Halifax Nova Scotia, Canada . He brings his knowledge of better building practices and understanding of how to get the most out of power tools to the team. John is a Project Manager for a carpentry and drywall contractor serving the New York City Long Island areas. He has a degree in Construction Management and enjoys the challenges and adventures of NYC construction. John started working as carpenter back in high school on weekends and summers. As a carpenter, he worked in both the residential and commercial sectors. On the weekends, he is an avid DIYer that is always on the hunt for cool new products and tools that create efficiency and improve on current means and methods. John’s motto is “Do it Well, Do it Once”. Mike Valente is the owner of Valente Construction, a residential construction company based in RI. He got his first taste of the trade when he was still in elementary school. Mike would tag along with his Dad fixing up their rental properties. He attended H.H. Ellis Tech as a major in carpentry. After graduation he worked for a few years as an apprentice at a small residential remodeling company, before setting out to start his own company. Mike is always looking for new advancements in the trade, including new products and tools. Jeremy is a Journeyman Electrician located in Berkshire County of Massachusetts. He graduated from SUNY Delhi with an Associate’s degree in Occupational Studies in 2008 and has been licensed and running his own business since 2013. His expertise ranges from wiring houses and light commercial buildings from the ground up to working on motors and control centers.